“As we celebrate the 35th anniversary of one of the most successful film franchises of all time, we are thrilled to introduce an array of commemorative products across different categories,” said Jeffrey Godsick, president of Fox Consumer Products. 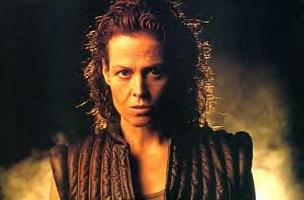 Prototypes of the Ripley action figures are scheduled to be unveiled at this summer’s San Diego Comic-Con. They should easily trump what’s out there now. Our apologies to Mr. Lee for this careless conjecture. Per his comment below, the Twitter handle @ripleycal is not an Alien/Alien: Resurrection homage.